I'm so excited to reenter this world with you guys!! Appearance : Olive skin with freckles, black hair, icy blue eyes. See doodle below. Personality : Cares deeply for those around her, and would do anything to be with and help those she loves. Also, she's creative, and is always coming up with new ways to help people. She's also a huge perfectionist; she'd never experiment with spells or magic words--even ones she's been thinking about or practicing for weeks--unless the conditions are just right. Her perfectionism also leads her to be hard on herself if she makes anything perceived as a mistake. Other : She's the fairy godmother of Lilac's child. Also, her magic requires her magic wand and magic words, it's dependent on hope, and is really temporary and lasts less than an hour. Last edited by popcorn1234; 01-11-2019 at 05:55 PM. So glad you decided to join, Popcorn. Looking forward to writing with you again! That's a cute doodle of Alexis, did you draw it yourself? I've got a post for Neva in the works, but I think I'll wait a bit to post again. I’m excited to write with you too, Night! And yes, I drew Alexis’s picture while coming up with her story, hence the little bullet-point-dashes in the corner of the doodle. I should have time to write her first post sometime this weekend! Welcome back Eve!! I missed writing in Estoriana with you! Alexis looks great! Sorry it took so long to post, I was stuck. I finally decided to give a bit more background information, from the perspective of Mei. I promise not to post from our older characters too often, but this post needed to be from her perspective. Sorry it is so long!! I sat watching my girls - all of my girls, including Noelle - sliding down an icy slide that Ayla had created from the top of North’s giant globe out through the window and down the hill. The little tooth fairies, elves, and even a few of the ever-serious yetis and giant eggs slid down with the girls. My girls all were giggling uncontrollable, and I smiled to see them together again. My Ayla and Noelle were the closest of friends, and had been inseparable since they first met on Estoriana when Noelle was only four years old and Ayla five. Ever since then, they have seen each other almost weekly their entire lives, alternating between visits on Earth or on Estoriana. I had seen Noelle so much that she felt like my third daughter, and she had called me “Mama-Mei” growing up. My Ayla called Noelle’s mom “Cali-mommy,” and they both had their “Auntie Saige,” their “grandma” Queen Ivory of Arendelle, and so many other relatives on both Estoriana and Earth. I loved seeing the incredible friendship the two wintery girls had forged, and our lives were constantly filled with snowy fun between the two girls and my Jack Frost. My eyes shifted to my silver-haired love, laughing with my twin as they caught up, and I felt the familiar awe that he loved me. 20 years of marriage later, I still couldn’t believe it was all real. The silver-haired boy-Guardian, filled with the wisdom of having lived for an eternity and from being a Guardian of Earth but who was still a child at his core, had fallen in love with me all those years ago. Though I guess those 20 years are just a blink of an eye to an immortal winter-sprite. But the fact that the immortal winter-sprite Guardian had fallen in love with me in the first place was still such a surprise, he had met thousands of people during his lifetime, and I was still basically a child compared to him, as he had lived since before the beginnings of civilization on earth. No one except the other Guardians knew how long Jack had been alive, and even they did not know exactly how long that truly was, only that it was far longer than any of them - except maybe Bunnymund - had been alive. Not even the Man in the Moon knew exactly how long Jack had been alive, as he was older than Manny was. Jack was older than them all, and had once been known by a different name. However, in many ways, he was also younger than them all, younger in spirit but older in the respect of time he had been alive. Throughout our time together, Jack had told me all about his life as a Guardian, and the time even before that, many hundreds of years ago. He told me about the name he had been known by before he became Jack Frost, and before he became a young boy with an adopted sister and brother. He told me about the histories of Nikolas St. North, E. Aster Bunnymund, Queen Toothiana, Sanderson Mansnoozie, and Tsar Lunar - the Man in the Moon. He told me how Mother Nature came to be. He told me about the village of Santoff Claussen, and the many creatures who had been part of his life before he met me. He told me about the many battles with Kozmotis Pitchiner who became Pitch, the Nightmare King. He told me about the first girl he had loved, though it had been a different kind of love than what we now shared. He told me about how he changed from the being he was created as to the being he now was, the winter spirit Jack Frost, the Guardian of Fun. Jack’s story was an incredible history of heroes rising up and of friendship and light defeating the evils. A tale of loneliness, hurt, joy, and finding family. Of growing and wisdom, and of becoming small again and holding onto the best of childhood. A story of transformations for all included. And now, I was part of his story. Part of his immortal future. With our two immortal girls, one a Healer like me and the other a winter spirit like him. My silver-haired boy felt my gaze upon him, and he met my eyes with a smile. Only one other person had ever known his whole story completely, and she had been away for a long time. The Guardians did not know where she was, but knew that she was far away. She had been the keeper of their stories - of all the stories on Earth, always there to remind them what had been forgotten if needed. She was known as Mother Goose, the Guardian of Stories, and she had been one of the first three Guardians on Earth. But no one had seen her in hundreds of years, and not even Manny knew where she was. She was out of his reach, nowhere near Earth. They knew she was still alive, because they could feel her faintly, but they knew nothing else. Just then, Ayla and Noelle crashed into the room, ice and snow flying everywhere, Yue and the others right behind them, and the whole group of girls, tooth fairies, elves, yetis, and egg warriors landed in a laughing pile at Jack and Saige’s feet. North reached into the pile to pull Yue out and he tickled her, while Jack scooped up Ayla and Saige pulled up Noelle into an affectionate hug. I smiled, watching my family members goof around together, and I couldn’t wait for the Estoriana reunion tomorrow, where the rest of my family would be together again. I was lost in my thoughts about tomorrow, when Jack snuck up behind me and swept me into his arms before taking off into flight, his wintry wind pulling the girls and Saige into the air behind him. “Don’t you realize what time it is?” He asked, as we flew out into the night sky. Wait. Night sky. It was dark out! I hadn’t realized how late it was, and that we had spent the whole day already! “It’s time to sleep so we can get up early and go to the reunion tomorrow! !” Ayla exclaimed excitedly, grasping Noelle and Yue’s hands and pulling them ahead of us with her own wind. Noelle flung out her hand and grabbed onto my twin as well, pulling her with my girls as they dashed through the sky towards our home, leaving Jack and I a bit behind them all. “Where were you?” Jack asked me softly, holding me close in his arms. “Just admiring our family, and wondering how I managed to win the heart of the immortal winter spirit of Earth…” I said, with a laugh and a shake of disbelief. “We’ve been over this many times before,” My Jack replied, giving me a smirk before kissing me. “That’s ok, I have forever to convince you!” He smiled, before flipping us in the air. “Jack, where do you think Katherine is?” I ask, and he sobers quickly. “I don’t know.” He says in a quiet voice, gazing to the stars. “Just... far away.” In that moment, he looks like a very young boy, lost and alone, unsure if one of his closest friends will ever return. “I know,” He replies, giving a faint smile, “You’re right.” But unspoken is the wish that she would return, at least for a visit, and rejoin her fellow Guardians for at least a short while. I had never met Katherine, but I had heard so much about her, and I knew she meant a lot to my Jack. She was his first friend on Earth, and his first love. They had been through so much together, and I wished she would come back and ease their worry about her. We flew in silence until we reached our home, where our girls and my twin awaited us. “Come on, girls, time for bed. The sooner you sleep the sooner morning and the reunion will come!” I said, putting an arm around Yue. I walked with them to tuck them all into bed, with Noelle sharing Ayla’s room with her - as always. I tucked them into bed, and was about to leave when Ayla spoke. “I don’t know, love. Maybe soon. Goodnight, my little snowstorm.” I said, before leaving to say goodnight to Yue. I met Jack in the hallway as he left Yue and headed to say goodnight to Noelle and Ayla. (Hope you guys like it! I read the Guardians of Childhood books by William Joyce, the creator of the characters that Rise of the Guardians is based off of, which is where this extra information about Jack's past is coming from. According to the books, Jack and Pitch first came to Earth in 9,300 B.C., though Jack was known by a different name then and was a different being. He was trapped until the 1700s, befriending the other Guardians as they became the Guardians, and he transformed and became Jack Frost in the early 1900s. All the people Mei mentioned when reminiscing about the history Jack had told her during their time spent together are characters in Joyce's books about the Guardians, and Katherine is a very key figure. I am not sure why they didn't include Katherine in the movie, but I want to add her into our story. I am thinking that the reason she wasn't in their most recent battle with Pitch and wasn't in HEA/OUAT as a background character for Jack when he speaks about his fellow Guardians will be because she went on a journey to find something or someone on a different planet. She has been gone a long time, but she will play a role in this RP, as she is Mother Goose. Last edited by Liri Dazzlebeam; 03-17-2019 at 11:03 PM. I sat surrounded by a hall of mirrors, each reflecting a different part of Arendelle. There was the alleyway by the baker’s shop, customers walking out with baskets of bread and flaky pastries. Under the bridge across the fjord, where a couple sat holding hands. In the shadows of the blacksmith’s shop, where the air was filled with smoke and the ringing sound of anvil on steel. Several scenes of the forest at the edges of the city. I smiled as I directed my shadow creature to float down the hallways, careful to duck and hide whenever a servant walked by, or voices could be heard from up ahead. Like all the residents of Exilia, I wasn’t able to visit Estoriana in person – not unless a descendant invited me in. So the shadow wraiths acted as my eyes and ears in that world. Today was the first time I’d dared to enter the palace itself though. You see, the only way they could enter Estoriana was through the cracks between worlds, created from residual energy left by the usage of powerful, forbidden magic. It was a dark magic that the wraiths were created from, after all, and they in turn could travel between worlds, drawn to places of great evil. But the one inside Arendelle’s palace came out of a crack no one knew about, besides myself and Mother. No one alive on Estoriana today remembered the horror that had taken place in that castle, so long ago. Up ahead, a familiar voice could be heard grumbling in a clearly impatient tone. I rolled my eyes, recognizing it immediately from the many other times I’d spied on Arendelle. I directed the wraith to peek into the room. Noelle sat with her mother, Calissa, before a huge mound of snow. Her brows were furrowed in concentration, but a moment later, whatever she was working on flopped back to the floor in a useless flurry. Even from here, I could see the irritation on her face, and I could almost hear the way she’d be whining right now to her mother. I bet Mireya would loathe her, I thought to myself, with a bitter smile. She doesn’t even recognize how fortunate she is to even have a mom – let alone an entire, perfect little family. This fool of a girl exemplified everything what I hated about the Estorianians – selfish, ungrateful, and irritating, utterly oblivious to all the terrible things that really went on in the world. All they ever wanted to do was to play around in their perfect little fairy tale lives. Well, that and make sappy, melodramatic declarations of love and happiness. They had done this to us. Trapped us forever in this barren, desolate land. Some of them – like Layla, Hunter, Amaryllis, Jalilah, Maurelle, and the rest -- had even done it to their own parents. How could they be so heartless? And instead of it weighing on their minds, it seemed they’d long since forgotten. Like the other descendants, they now only cared about their endless balls, banquets and other frivolities. I wonder if Saskia is with them right now. I wonder if she still remembers her last words to me. Does she still think about them, as often as I do? “So, what did you want to talk to me about?” I asked teasingly. We were standing at the top of a small hill overlooking the craggy wilderness of Exilia. It was our special spot, the place where we always met to talk about things where no one else could overhear. From here, looking out at the sunset across the expanse of jagged boulders and thorny bushes, the landscape painted in shades of orange and fiery red, Exilia looked almost… beautiful. Majestic. It was the only place where that could be said about this wretched place. “Saskia?” I asked. She looked deeply contemplative, lost in her own thoughts and almost… nervous. I frowned. What did she have to be scared of? We had been best friends for years, and told each other everything. “Neva, do you trust me?” she asked finally. “This is going to be a lot to take in. But please, just hear me out, okay?” From the inner folds of her cloak, Saskia pulled out a small pocketwatch. It emitted a strange glow, the unmistakeable aura of Estorianian magic. “I know, I know. It took me a long time to accept it too. But I promise you, Neva, it’s the truth.” She reached out to touch me, but I pulled back, shaking my head. Sudden anger flooded through me, piercing through the anguish. How could she be so calm about this? Betraying everything we knew and loved, our very families. Traitor! Before I was fully aware of it, my fingertips began glowing ice-blue. And suddenly, I was staring at the tip of a long, sharp dagger, drawn and pointed straight at me. And Saskia, holding it, her eyes wide with horror. I didn’t know it was possible to feel more betrayed, but the pain that welled up through my chest was as sharp and piercing as if she’d stabbed me then and there. “You really think I would hurt you?” I whispered. Saskia’s eyes widened. I lunged toward her, but my hands passed uselessly through empty air as, before my eyes, she vanished. That was the last time I’d ever seen her. Mother found me later that night, crouched in the corner of my room, staring unseeingly out of the window. I couldn’t stop replaying the scene over and over again in my head. Was there something I could’ve done? I shouldn’t have lost my temper. Could I have persuaded her to stay, if I’d tried harder? And did she really think I’d use magic to attack her? Anger and hurt bubbled up through my veins. Saskia of all people knew how hard I’d trained, how many hours of work I’d put into controlling my powers, ever since I was old enough to summon a snowflake. I had poured hours upon hours of sweat and tears into making sure I’d never lose control and hurt someone. Mother had drilled that into me from the moment I learned to crawl – our powers could be dangerous, and letting go had disastrous consequences. And yet, Saskia had looked at me like I was a monster to be feared. Was that all anyone ever saw in me? “Neva?” Mother folded me into her arms. I buried my face in her shoulder and began to cry, uncontrollable sobs that tore through my entire body. I pulled back in shock. I knew about her, of course – my aunt Gerda, mother of the infamous Elsa, long-ago ancestor of the current Queen of Arendelle. I didn’t know much about my mother’s relationship with her sister, as she’d never talked about her prior to today. But this… it was unthinkable. The horror of such an act rocked me to my very core. The swish of a sword slashing through one of my shadow creatures brought me out of my reverie. I hissed in annoyance. It looked as though the Estorianian army was here, along with that meddlesome girl – the daughter of Commander Shang himself. I didn’t have much time left. I directed the wraith that had been situated outside the palace training room to follow Calissa and Queen Ivory as they left for some sort of chat. A moment later, however, I was distracted by Noelle, who had immediately left her studies to create an ice slide leading down into the gardens below. Where my other shadow creature lay in wait. I scowled at how irresponsible she was, thinking back to the long hours I’d spent controlling my own abilities. Someone as reckless as her was in no way deserving of such power, and one day she’d learn to regret her own frivolity. Noelle caught sight of my wraith, immediately beginning to give chase, heedless of the danger. I smiled to myself. Why not play with her a little? I directed the shadow to dart and weave into the woods beyond the palace grounds, and she gave chase, sending blasts of icy magic crashing into the trees. Her clumsy attacks were no match for my swift and agile creature of darkness. I rolled my eyes. It was almost too easy. Then Ivory’s ice spear skewered my other wraith, and I winced as it dissipated into wisps of smoke. Almost at the same time, a sword cleaved through the one Noelle was chasing, splitting that one in two as well. I sighed, giving up and letting my other shadow creatures drift away as well. It had been a long day, and I was exhausted. I didn’t have the energy to try and fight the army right now. No matter, I’d collected enough information for one day anyway. I closed my eyes for a moment, pushing back the anger, the resentment, and the still-raw sting of betrayal that always came when I relived these particular memories. That hateful, bitter side of me was something I never showed to anyone, not even the people I called my friends. I’d shown too much of myself to somebody once, and she had thrown it all back in my face. Mother was the one person in the world I could trust, and I hated showing such weakness in front of her. I started at the sound of Mireya’s voice. She was standing in the doorway, striking green eyes surveying the many reflections in my mirrors with a look of distaste. As usual, she looked beautiful and aloof, her dark curly hair like a wild halo around her face. “Checking in on the descendants again?” Mireya asked. I knew the disgust in her voice wasn’t directed at me. When she was four years old, her mother had died of illness, and from what she’d told me, her father had never been the same since. The others always said it was because Esme had never been able to adjust to the rough, tempestuous climate of Exilia. Of course, it would never have happened if the descendants hadn’t been so cruel – banishing a happy couple with a child on the way to this miserable place. “Well, someone has to do it,” I stood up, letting out a long-suffering sigh. “Unless you’re volunteering for the honors?” I gave her a teasing grin, careful to keep the bitter edge out of my voice. That familiar hollow emptiness pulled at me again, like a gnawing hole I could never fill up. I hid it the same way I hid my true self, behind twisted smiles and pretty lies, because who would ever want to see me as I really was? I let Mireya lead the way out of my mother’s snow lair, watching as she sidestepped around the glittering icicles that littered the room, shooting up like giant stalagmites. Her bare feet were as nimble and graceful as an acrobat’s. Once outside, we headed out past the settlement, to the wide-open plains of Exilia. The black spires of Queen Imperia’s palace were still visible in the distance, but only just. Every season, the two of us went to see the great herds of stone animals begin their long migration. It was the only time when those creatures could be spotted in the wild, as they made their homes underground and easily blended into the craggy, rock-strewn wasteland of the Exilian wilderness. But once every few months, the herd would emerge from their usual habitat and move across the plains until they found a new spot to burrow into. Exilia had a vast network of caves and underground passages, and occasionally we could feel the movement of these animals beneath our feet. Mireya and I found a good vantage point in a patch of thorny bushes. We had to stay hidden, for the great stone creatures were notoriously hostile towards us – towards all the Exilians, really. They were known to attack viciously if they managed to catch a glimpse of any of us. Saskia and I had only narrowly escaped from a stampede of them, the year I’d turned eleven and we dared each other to try and pet one. Legend has it that during the Great Battle of Exilia, one of the descendants had managed to tame these creatures, and even rode one to victory. I couldn’t imagine such a thing, though it would explain why they hated us so much. It wasn’t long before the earth beneath our feet began to shake, and it felt as if a great mountain had picked itself up and began marching forward. The leader of the great beasts looked like an enormous reindeer, with rock formations growing over his limbs and head like armor. I still marveled at the sight, how a creature that big could move with such speed. Watching the herd, how they moved together, from the largest boulder-sized leader to the smallest infant… their closeness so obvious even from this distance. I wasn’t sure why, but the hollow ache in my chest intensified every time I came here. The feeling that something was missing from my life, something I wanted badly to find. But what? Maybe I'd thought, if I kept coming back, one day I would discover what it was that I truly wanted. A foolish thought, really. I stood up as the sun was beginning to set over the horizon. "We should probably go. Her Majesty will throw a fit if we're late." Outside the grand hall of Queen Imperia's palace, a tall girl with golden hair stood waiting to enter. She glanced up at the sound of our approach. "Where have you two been?" she asked, her voice cool and aloof. Like Mireya, I'd known Scarlet my entire life, though I was never really sure if she considered me a friend or not. She always seemed distant and closed-off, never particularly affectionate towards anyone, with a quick temper and sharp tongue. I smiled, slipping easily into my usual mask, the one I was so used to now that at times I could almost convince myself it was real. That there were no dark thoughts of bitterness and resentment running like a current beneath. Cheerful, outgoing Neva, with nothing to hide at all. "Nothing much. Just went to watch the seasonal migration," I replied, giving a friendly smile that she did not return. Tonight was one of the grand meetings of the Exilian council, where our parents, as well as Queen Imperia, Captain Hook, Jafar, and the rest got together to discuss our next plan of action. The next strike we would make against the Estorianians. It was their greatest ambition, for us descendants to return to Estoriana and reconquer it in the name of our parents. Now that the banishment curse was made permanent, the former kings and queens of the fairytale world had no hope of returning to their former homes. However, they certainly would not give up so easily, and had been plotting all these long years to have us achieve the vengeance they could not reach for themselves - as well as take over both worlds. Mireya and Scarlet were all for it, eager to take revenge on the descendants, though each for their own reasons. Little did they know, however, that Mother had a very different plan in mind. (I know you gave me permission to use Mireya, but let me know if you'd like me to change anything, Liri! Same goes for Scarlet, Glory - I'm not really sure what she thinks of Neva or Mireya, so I left it to you. And Popcorn, hope you don't mind the return of Avia's army. Last edited by Night Wish; 01-15-2019 at 03:00 AM. I felt the air whip past my face as I raced through the small cobblestone road clutching my prize close to my chest a smile on my face. By my side is Charles, my best friend and partner in crime, and behind me one of the villagers yelled at us to get back here while chasing after us. I laugh as we lose our chaser easily and run to our hideaway in the forest near our village. By the time we make it to our destination we are both dying with laughter. I turn to Charles with a grin, “Did you see the look on that guy’s face when he realized two of his apples were gone?” I finally manage to get out. The village was quiet as I slipped out of my cottage and made my way to my favorite treetop to watch the sunrise. My favorite bag was slung over my shoulder packed with bread and an apple. I was about to turn a corner when I saw a flash of movement in the corner of my eye. A young boy reached out to steal my bag, but I had him pinned to the ground before he could blink. The boy stared up at me with green eyes filled with shock. He looked about my age and had tousled brown hair and freckles splattered all over his face. “Ouch, that hurt! What do you think you're doing flinging people about?” he yelped feigning innocence. I rolled my eyes “You know if you’re going to steal from someone you shouldn’t try the descendent of the Knave of Hearts, the greatest thief in wonderland history!” I reply with a snort, “I’m Alissa, by the way. I would say that my friends call me Lissa but that would require me to have some.” I stand up and extend my hand to help the village boy up. The boy takes my hand and stands “Charles. Look sorry for trying to steal your bag, I was just trying to help my family.” he responds sheepishly rubbing his shoulder. “That’s ok. Come on we have plenty of food at our house!” I say grabbing his hand and running to my house. Ever since that day, Charles and I have been inseparable and we did everything together, from thieving to exploring Wonderland. Charles turns back to me, “We should probably head back soon, I’m supposed to help my mom out with the twins,” he says with a sigh pulling me out of my reminiscing. Charles lives with his mom and to younger brothers who are twins and like to give their mom a hard time. “Yeah, I ‘get’ to pick out a dress for the ball tomorrow.” I respond sarcastically. My mom was making me go to some ball that was supposed to be a reunion for most of the descendants in Estoriana and I wasn’t too thrilled to have to meet a lot of new people. We both stand up and gather our stuff. “Race you back!” I yell running in the direction of the village. Last edited by Liri Dazzlebeam; 02-24-2019 at 04:41 AM. I'm so sorry I haven't posted yet! I spent a while on that Zeo post and around the time that I posted it, Night posted her thing for Ansell in Believe so now I feel like I need to write a Tori post. There's also this other RP I'm in that isn't on this site that I need to write a post for too. I'm just struggling to get myself to just sit down and write at the moment, as well as figuring out what to write for. I promise I haven't forgotten about this though! I'm sorry too, for posting so much so frequently on this RP. I promise to slow down from now on. I also apologize if my BiotB post made you feel pressured to respond! That was never my intention. If I'm being honest, I wrote the post that way more to pressure myself into posting for Sierra than anything else, since my other characters are now occupied. Feel free to post on anything that you'd like, whenever you have the time! No need to worry. The mellow sound of the waves beneath me filled my body, mind, and soul with peace as I looked out on the horizon. Another day in Atlantis had just come to an end. Another day full of harsh training to help prepare myself for the day I become Captain of the Atlantis Guard. It was a dream I had had since I was a child. My mother, thankfully, supported that dream. She was a fighter herself. Even after she became queen of Atlantis, she continued to fight in our battles. She was the first person to teach me how to fight. I'll never forget any of the lessons she taught me. "Don't turn your back on an enemy." "Always move faster than your opponent." "Do not hesitate to spare anyone. Sometimes mercy is the best way to defeat an enemy." If it wasn't for her, I wouldn't be the girl I am today. I'm immensely grateful for everything I learned from my mother. Sparring together was our best way of connecting. As I got older, our sparring sessions were the only time that we spent together until she had me begin training under the current captain of the guard, Echkthel'on, to advance my skills. Now, I only, occasionally, see her at dinner. It was hard enough as a child to connect with my over eight-thousand year old mom who has a strange link to the core of our glorious city, the Heart of Atlantis (and I'm not even sure what that does to her. All I know is that it makes her eyes glow blue sometimes). Now, with how distant mother has been acting lately, it's seemingly impossible to even talk to her. It's obvious she's hiding something. I just want to know what that something is. Recently I've bee staying late to…"keep an eye" on my mother. I have learned that when she isn't sitting in her room doing what seems like chanting in some ancient language, she goes out to send letters to someone who lives far away, using Atlantean technology that can send letters to whomever it is addressed to in a matter of seconds in the form of this bright, blue beam. I've tried to search for letter she may have written during the day, but I can never find anything. Either she only writes them at night before sending them off or she hides them with some special device or maybe even magic. Maybe that crystal she always wears around her neck has some magical properties to it that she harnesses to do her mysterious work. Or maybe I'm overthinking all of this. I thought to myself. My mother is a strong, honorable woman. She would never do something to harm Atlantis or her people. She probably has a very good reason for acting so mysterious and doing things behind my back. At least, she better have a good reason for it. I sighed, trying to relax myself and my body. I'd be lying if I said this whole thing involving my mother didn't stress me out. It did. In fact, it didn't just stress me out. It flat out made me upset. I despised being left out in the dark like this. I thought my mother trusted me and cared about me but these days I feel like that is the exact opposite. But I didn't come here tonight to think about that, despite how hard it is to not dwell on those thoughts. I came here, to Blue Moon Cave, to relax. "And what better way to relax than by going for a little swim." I said to myself, as I stood up on the edge of the mouth of the cave, the coolness of the rock sending shivers up and down my body. Before I jumped, I looked out amongst the waves once again. I closed my eyes and took a deep breath. I've always loved the smell of the sea. It's just as relaxing as, if not more than, the sound of the waves crashing against the Atlantean rocks. Being here at Blue Moon cave always gave me a sense of peace. I felt like I was in my own world where no one could hurt me. Not even my own mother. I discovered Blue Moon Cave five years ago. I had stormed out of the palace one night after having a fight with my mother. I didn't plan on going too far away, but at the same time I didn't want to be near any other people. So I decided I would venture off into the forest. Mother had always warned me not to go there alone, especially at night but in that moment, I didn't really care about anything she had told me before. As I made my way through all the trees and various other foliage, I didn't stumble upon anything dangerous which made me think my mother had been lying all of these years. Granted, I stayed away from the really dark part of the forest but there still could've been other dangerous animals where I was too. Thankfully there wasn't any, at least not any I saw. After a while of walking, I finally made it to the base of the mountain. At this point, a small part of me thought it would be best if headed back to the palace now. But I heard the faint sound of water nearby and I knew I had to do more exploring. It didn't take me long to find the source of the sound. It seemed to be the edge of the island. I couldn't shake the feeling that there was more for me to see here, even though it looked to be the exact opposite. After standing above the water for several minutes, I finally turned to head back home when suddenly, a bird quickly flew past my face. As I watched it fly away, I saw an opening in the side of the mountain. Filled with excitement, I climbed on the rocks as fast as I could to the cave. Once I got there, I took a good look around. The cave wasn't enormous. It was kind of small but cozy. Perfect for a young girl like me to stay in whenever I needed a break from the life of a princess, or a break from my mother. As the light from the full moon shone into the cave, making the inside appear to shimmer, I gave it the name of "Blue Moon Cave" and ever since then I had retreated to the cave whenever I deemed it necessary for myself and especially my mental health. The cave wasn't the only relaxing thing about this place, though. The water also played a part in that. Something about the way the water sounded and felt on this side of the island was different. The environment underneath the surface was unique in all the creatures and corals that resided here. It was an adventure each time I visited. One that never failed to soothe me, which is exactly the reason why I was here. I counted to three before diving off the edge of the cave and into the water. As the cool water made contact with my warm skin, I instantly felt relief. Any cares and worries I had all went away for the time that I was in the water. I wish I could always swim all my problems away. Unfortunately, that isn't always an option. But that was something I could worry about after I arrived back home. For now, I didn't want to think about anything except the sea and I. Fantastic posts everyone! Sorry I haven't posted anything in a while, life has been crazy as usual! I can't wait for Kati to meet everyone else! She will be a wonderful new addition to the Estorianian family! Sorry this post is so long, I had a lot to write about for Mireya haha. I walked, barefoot, across the barren ground of Exilia. The dry, hard earth of Exilia was a sandy red and my feet kicked up dust with every step I took, even though I stepped lightly as usual. The air was hot and dry during the day, and cold and dry at night. Storms swept through Exilia without any warning, leaving destruction in their wake. My purple skirt swished as I walked towards the castle of my friend, my bangles and earrings jingling softly. As I reached Neva’s home, the guards stepped aside to grant me access, not even bothering to challenge me because they knew me on sight. I silently walked through the icy halls until I reached Neva’s bedroom, but when I found it empty then I instead went to the mirror room of her mother’s snow lair. I don’t know why Neva chooses to torture herself with watching the descendants on Estoriana, in the homeland where we should be and living the lives we should be living. They took it away from us. I reached the mirror room and found Neva, her eyes closed and head resting against the back of her chair. Her long, silvery hair curled gently down her back and wispy curls floated free of her blue bow and framed her face delicately. Her icy beauty was unmistakable as always. I sighed softly and shook my head at the sight of her surrounded by mirrors, my wild curls tumbling around my face, knowing she just tortured herself with the visions from Estoriana again. “Neva?” I asked, startling Neva, and I surveyed the many reflections in the mirrors with distaste. “Checking in on the descendants again?” I asked, disgust for the descendants tainting my tone. When I was only four years old, my mother died of an illness, and it was all their fault. The cruel and cold-hearted descendants had found my mother and father hiding away in the Enchanted Forest, unknowingly pregnant with me, causing no harm to anyone. Despite the fact that the couple had harmed no one and had been living peacefully, separate from all others, the so-called ‘heroes’ had banished the pair to Exilia - just because my father had been a villain before he met Mom. Mommy hugged me in her arms as we hiked across the red dirt towards the cave that was our home. I looked out over her shoulder at the sun setting, and shivered. “Almost there, sweetheart.” Mommy said, snuggling me closer to comfort me and keep me warmer. Daddy led the way, looking around for danger, and then we finally reached the cave. “I’m cold.” I said, and Mommy looked at me with a sad look in her eyes. Mommy and Daddy tucked me in to bed and kissed my forehead. Daddy pulled out a silvery pipe and played the song he and mom sung for me every night before bed. I had never seen green grass, willow trees, or daisies before, but Mom had told me about them and how they were everywhere in Estoriana. My eyes drifted closed to the image of daisies blowing gently in a soft green meadow, even though I fought to stay awake, and I fell asleep surrounded by their love. Father tried to hide me and my mom from the others on Exilia to protect us, but after a while Mom got really sick. My father had never been the same ever since. The others always said it was because Esme had never been able to adjust to the rough, tempestuous climate of Exilia. Of course, it would never have happened if the descendants hadn’t been so cruel – banishing a happy couple with a child on the way to this miserable place. I lost my mother forever that day, and I also lost the father I had once known. They had taken everything from me. “Well, someone has to do it,” Neva’s voice broke into my reverie, and I blinked as she stood up, letting out a long-suffering sigh. “Unless you’re volunteering for the honors?” She gave me a teasing grin, and I shuddered. Her ice-blue eyes unfocused for a moment, lost in thought, then she shook her head slightly and refocused on me. “Nope, but we’d better hurry!” I replied, not pushing her. I saw the telltale signs that she was forcing the light-hearted expression, but she didn’t know I noticed. I was very good at reading people’s micro-expressions and body language, but I never pushed my friend to open up. Everyone has their secret baggage, and Neva and I never push each other to reveal more than we each want to. I turned and led the way out of Neva’s mother’s snow lair, sidestepping around the glittering icicles that littered the room, shooting up like giant stalagmites. My bare feet were nimble and graceful like my mother’s were, like an acrobat, and I never misstepped. Once outside, we headed out past the settlement, to the wide-open plains of Exilia. The black spires of Queen Imperia’s palace were still visible in the distance, but only just barely. Neva and I found a good vantage point in a patch of thorny bushes. We had to stay hidden, for the great stone creatures were notoriously hostile towards us – towards all the Exilians, really. They were known to attack viciously if they managed to catch a glimpse of any of us. Neva had once told me about how she had only narrowly escaped from a stampede of them the year she’d turned eleven and she and her old friend, Saskia, dared each other to try and pet one. Neva never spoke of Saskia anymore, not after she left us all for Estoriana, following the example of the infamous traitors Eclipse, Amaryllis, Danton, Gwyneira, Geneveve, Phoenix, Jalilah, and Maurelle. Plus Hunter, Colin, Layla, and Drizella before them. I never knew Saskia well, but I know she was Neva’s best friend before she left. Afterwards, Neva and I grew closer, but she never fully let down her walls around me, and I knew Saskia leaving had wounded her deeply. I had always watched the herd on my own when Saskia was still here, as I had been more of a loner then, but after Saskia left I had begun watching the herd with Neva every year. I hoped that my consistent presence by her side throughout our days here on Exilia might one day help heal the wounds Saskia had left behind, and that one day Neva would feel able to trust me to never abandon her the way Saskia had… but I didn’t push her, I just stood by her. Yes, I know, I know. Mushy. Not really what people on Estoriana would expect from one of the “villains,” as they call us. But then again, people on Estoriana never really knew us. They knew our parents initially, at least they thought they did, but they didn’t know what my dad had become after he met my mom - and they never bothered to know us kids. I may be the child of a so-called “villain,” but that doesn’t mean I can’t care about my friend. Anyways, it wasn’t long before the earth beneath our feet began to shake, and it felt as if a great mountain had picked itself up and began marching forward. The leader of the great beasts looked like an enormous reindeer, with rock formations growing over his limbs and head like armor. I still marveled at the sight, how a creature that big could move with such speed. Legend has it that during the Great Battle of Exilia, one of the descendants had managed to tame these creatures, and even rode one to victory. I couldn’t imagine such a thing, though it would explain why they hated us so much. The animals were wild, nomadic – and a little mysterious. Like my mom had been. As I watched them thunder past, I wondered what my mom would have thought. What she would have done. She would have probably been down among the herd, riding on their backs with ease, like the legend spoke of. She would have danced across their backs, leaping lightly and laughing her warm, bright laugh. Just then, Neva stood up and I noticed the sun was beginning to set over the horizon. "We should probably go. Her Majesty will throw a fit if we're late." She said, and I nodded. Like Neva, I'd known Scarlet my entire life - well since I was four, though I was never really sure if she considered me a friend or not. She always seemed distant and closed-off, never particularly affectionate towards anyone, with a quick temper and sharp tongue. "Nothing much,” Neva replied, “Just went to watch the seasonal migration," giving a friendly smile that Scarlet did not return. I remained silent, not one who spoke overly much to others besides Neva. It was their greatest ambition, for us children to return to Estoriana and reconquer it in the name of our parents. Now that the banishment curse had been made permanent, the former kings and queens of the fairytale world had no hope of returning to their former homes. However, they certainly would not give up so easily, and had been plotting all these long years to have us achieve the vengeance they could not reach for themselves - as well as take over both worlds. Scarlet, Neva, and I were all for it, eager to take revenge on the descendants, though my reasons were different than Scarlet and Neva’s. The descendants had killed my mother by sending her and Father here. I grew up in this desolate place, never seeing something so simple as grass or daisies, without my mother - and without the father of my early years - because of them. They would pay. Last edited by Liri Dazzlebeam; 03-17-2019 at 11:05 PM. Great posts, Alexa and Liri! And don't worry about it Liri, I hope you've been doing well. Great posts everyone. Thanks for including Scarlet. I love seeing how everyone's writing styles have evolved since 2015. 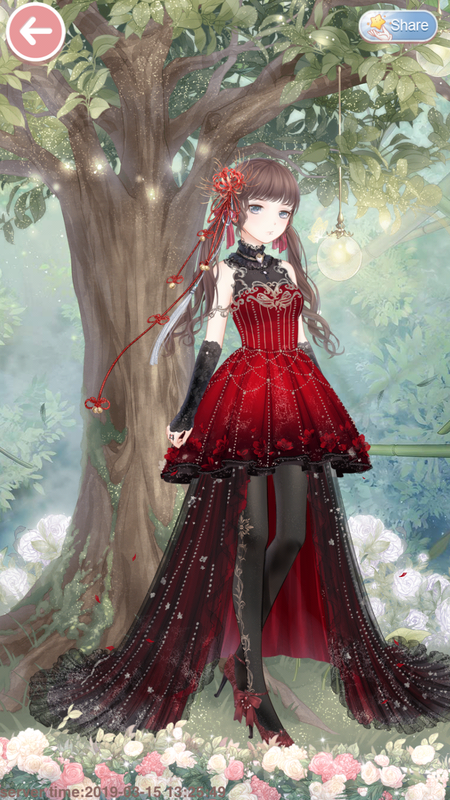 I straightened the hem of my long, dark red gown. Lifting my chin, I gave polite nods to the Exilian nobles and high-ranking members of the guard. But for the most part, I ignored most of the people entering the great hall. I didn't see the point in displays of politeness, not with most of this irrelevant rabble. I looked up at the sight of two figures stepping into view. I suppressed a scowl. Neva and Mireya, arriving almost late. They could show a bit more respect to such an important meeting, one that could potentially change our entire future. It was our parents' greatest ambition, for us children to return to Estoriana and reconquer it in their name. Now that the banishment curse had been made permanent, the former kings and queens of the fairytale world had no hope of returning to their former homes. However, they certainly would not give up so easily, and had been plotting all these long years to have us achieve the vengeance they could not reach for themselves - as well as take over both worlds. While I was in full support of these plans, I had no interest in taking vengeance on behalf of anyone. What was the point in such a pursuit? Revenge didn't give you anything, not power, or influence, or a way out of this miserable place. The only thing it could give you was a brief sense of satisfaction, and I had no interest in such a useless thing. Besides, if Mother wanted revenge, she could have done something productive for all these years... Something other than be little more than a pawn in Jafar and the others' plans. But of course, it was not revenge that she wanted. I repressed the urge to scowl once again. "Where have you two been?" I asked, keeping voice cool and aloof. "Nothing much,” Neva replied, “Just went to watch the seasonal migration," giving a friendly smile that I did not return. Mireya remained silent, not one who spoke overly much to others besides Neva. Though the three of us had grown up together for most of our lives, I'd kept my distance, while those two had always been close. It wasn't like I particularly disliked them or anything, I just didn't see the use in such things as friendship. I was willing to work with these girls, and we would conquer Estoriana together, returning to our rightful place as its rulers. I wasn't interested in anything beyond that. If you let someone in, let them know too much, you would open yourself to betrayal. It was inevitable. If there was one thing I'd learned from Mother, it was that. You may fool yourself for a time, thinking such emotions as love or affection was enough, but eventually reality would set in. Wealth and power were tangible goals of actual worth. Human emotion was fickle, a temporary distraction at best. I was surprised Neva, in particular, didn't appear to have grasped that yet. After what happened with Saskia, her old best friend, one would think she's have learned her lesson. But then again, I had always felt that Neva was hiding something. There were things she was planning with her mother, I knew, that the rest of us weren't privy to. It was another reason I couldn't really trust her. Mireya, on the other hand, was entirely on board with the revenge mission, fully believing the descendants were cruel and unjust for trapping us in this world. I supposed it was understandable, giving what had happened to her family. The three of us entered the Great Hall together, taking our places on the raised dais alongside the other rulers of Exilia. Mother caught my eye, but I purposefully avoided her gaze. The two of us had never seen eye to eye, but lately the distance between us had seemed greater than ever. Queen Imperia began addressing the gathering. It would appear that the descendants had planned yet another gathering for tomorrow, a fairly large one this time. I'd lost track of how many of these parties they planned every year. Yet another reason we deserved to rule Estoriana - we'd find something more productive to spend our time doing than attending balls all year round. Nothing of much import happened during the meeting. The plan was the same as always - keep on high alert when the descendants were gathered in large numbers - when their magic was abundant, it caused the veil between worlds to thin, and one day, we would be able to slip through. Just when I'd begun to think nothing of particular interest was going to happen in this meeting, the ground beneath us suddenly began to shake. Glasses sitting on tables started to clatter, and several people fell out of their chairs. The rumbling grew more and more intense, until it felt like the earth was going to split open beneath us. Overhead, the chandelier began swinging wildly. Then, just as suddenly as it had begun, the shaking stopped. I loosened my grip on the nearest pillar and saw my own startled expression reflected on Neva's and Mireya's faces. "What was that? An earthquake?" someone in the crowd exclaimed. "Is it caused by the migration?" I asked Mireya and Neva. They both shook their heads. "The herds had moved well beyond range when we left," Neva explained. It was the strangest thing... Almost like a violent spasm had passed through the planet of Exilia itself, like the entire world had become unstable. I shook my head. What was going on here? Sorry I took so long to write something! Things have been busy on the mainland! 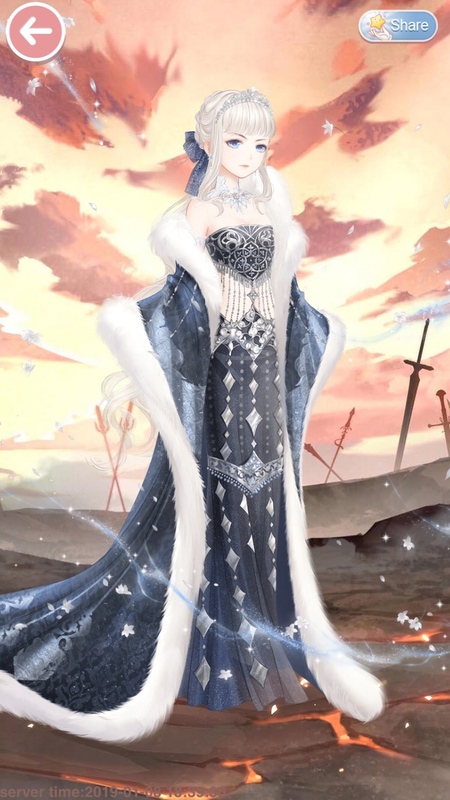 I wanted to get us to the day of the reunion, so here's something for Yue! I opened my eyes, stretching lazily, as the sun shone into my room. I heard some thumps and giggles from the room next door, then sat upright abruptly in excitement as I remembered what today was; the reunion!! The thought had barely crossed my mind when a wintry wind flung open my door as my sister and Noelle came bursting into my room, bouncing with joy. “Hurry up! Everyone else is waiting!” Noelle added, and the pair slid out and down the stairs on a slide of ice. I shook my head with a laugh, and got ready for the day. Honestly, at times I was envious of my sister, with her winter powers she inherited from Dad and her super close friendship with Noelle. Sure, I had friends, but nothing near as close as what Noelle and Ayla shared! And, yeah, I had Mom’s healing tears, but Ayla’s powers were way cooler! Plus, she also inherited Mom’s natural warrior skills, whereas I failed miserably at fighting… much to Auntie Saige’s disappointment - though she never stopped trying to teach me! She will never realize that I am a hopeless cause of a warrior! I sighed, exasperated with my aunt, then refocused on the fact that today we were headed to Estoriana for the reunion. I can’t wait to see Embeth and Juliette! And Tavia will be there too! I can’t wait to hear about everything they have been up to lately! I slid downstairs on Ayla’s ice slide, which hadn’t melted yet, and joined my family downstairs. “Good morning Sweetie!” Dad said, swinging me around in a hug, making me laugh. “Good morning Dad, Mom. Morning Auntie Saige,” I said once Dad put me back down, then I hugged Mom and Auntie Saige. “Good morning Sweetling,” Mom replied, handing me a plate of pancakes after we hugged. I sat down beside Ayla and Noelle to eat, listening to them talking excitedly about the reunion today. “Girls, we will leave for Estoriana in a couple hours, make sure you are ready!” Dad said, before flying out the window for his morning rounds. Dad is the Guardian of Fun, and he brings snowdays to kids around the world with his winter powers. Mom is also a Guardian now, the Guardian of Life, though she grew up on Estoriana with Auntie Saige and my grandparents - before the Great Battle of Exilia. I groaned, but Ayla and Noelle agreed with excitement. “I need to get ready for the reunion ball!” I exclaimed, trying to dissuade my aunt. “Oh, don’t worry dear, you will have plenty of time to get into your fancy dress after we practice!” Auntie Saige replied, laughing. I slumped in resignation, preparing myself for complete failure as usual. “Come on, sis! It will be fun!” Ayla sang out, pulling me out of my seat and dragging me behind her. Speak for yourself! I grumbled to myself, as Noelle skipped behind us and Ayla dragged me to my doom. Soon, Auntie Saige had set up the training area and we began. Ayla and Noelle were evenly matched on Estoriana when they both had their powers, but Noelle didn’t have her ice powers when on Earth, so she and I were supposed to be working together to beat my sister. Things went ok for a while, but Ayla definitely outmatched me in skill. After a while though, Noelle danced gracefully out of the way of one of Ayla’s bursts of magic, but I wasn’t so lucky. I tripped and fell, tumbling out of the way of the ice and knocking over a quiver of arrows. The arrows skittered across the icy ground, and I lay sprawled and frustrated. I was just no good at fighting! Why can’t I just heal people and leave the fighting to Ayla and Noelle?! “Ayla, Noelle, good work. Practice your sword work together for a bit.” Auntie Saige said, then walked over to me and helped me up. “Little moonbeam, don’t get discouraged. You have a warrior inside of you, you just need to learn how to let go and use those instincts.” She said calmly. “I don’t know how! I don’t think I have those instincts.” I exclaimed, exasperated. “Of course you do. You are your mother’s daughter, and my niece. You have it in you. You are descended from the mighty warriors Fa Mulan and Li Shang, their blood runs within you.” My aunt responded, and I sighed. “Moonbeam,” Auntie Saige began, but I cut her off. I ran off quickly, before she could change her mind, and went inside to get dressed for the reunion ball, wanting to forget about the whole practice session. At least I have the reunion to brighten up the rest of my day! Last edited by Liri Dazzlebeam; 03-17-2019 at 11:04 PM. Great posts guys! Don't worry about it Liri, we've all been busy. My eyes flew open and I saw bolt upright, leaping out of my sleeping bag and immediately glancing over to Ayla's bed. Our eyes met, and I saw the same giddy excitement I felt reflected in her pale blue eyes. "It's reunion day!!!" We both yelled at the same time. I jumped straight onto her bed in a flying tackle. Ayla grabbed a pillow from beside her and used it to fend off my attack. I tumbled backwards, getting tangled in her blankets. Grinning, I grabbed a weapon of my own, and we immediately launched into a heated pillow fight, sending blankets and stuffed animals flying in every direction. Eventually, we both tumbled out of the bed, dissolving into uncontrollable giggles. "Last one down is a rotten egg!" I declared, yanking on the first piece of clothing I could get my hands on. Ayla and I had shared a closet whenever I came here for as long as I could remember, and she had free use of my ice-carved walk-in closet in the Arendelle palace as well. It really was like having another sister, one who was just like me in so many ways. My family and Ivory had basically adopted Ayla, just as the Guardians had taken me in. The two of us flew out of the room and down the hall to Yue's room, where Ayla blasted open the door with a chilly breeze. Yue was still in bed, sitting upright and stretching luxuriously. “Hurry up! Everyone else is waiting!” I added, and we skidded out the door and down the stairs on a slide of ice that Ayla created with a wave of her hand. So many of my Estorianian friends hated coming to Earth, complaining that it was so strange to be without powers. To me though, it barely mattered at all, as Ayla pretty much let me have free reign of hers whenever we were together. Determined to beat Ayla downstairs, I pushed myself up onto my feet so that I was standing, wobbling, on the sheet of ice, holding out my arms for balance. Balancing precariously, I began sliding, faster and faster... I was concentrating so hard, I didn't even realize when I'd reached the bottom. Before I knew it, the floor came up to meet me, and I would've completely face planted if Jack Frost hadn't flown up to steady me. "Whoa there!" He laughed. "Maybe it's time we installed a braking system on the stairs! What do you think, Mei?" Ayla and Yue's mom walked up, shaking her head. "Do try to be a little more careful, Noelle," she reprimanded gently. "Okay, sure." I turned to Ayla, grinning. "I did beat you down though!" "Oh, please!" Ayla stuck her tongue out at me. "That's only because I let you win!" "You wish! Just wait until next week, I'm going to leave you in the snowdrift when we go skiing together!" We needled each other back and forth all the way to the breakfast table, though we soon got distracted by our excitement over the reunion ball. While Ayla and I got to see each other every week, she didn't often get to see the other descendants outside of my family, Ivory's sisters, and Mei's best friend Sirena's family. In fact, some of them she hadn't seen since the last big get-together. "I heard there's going to be other descendants we haven't met before who are going to be there!" I was nearly tripping over my words with excitement. "Like Princess Amani's younger sister, and the descendant of the Blue Fairy, one of Queen Kida's daughters, and Lilac's fairy godmother!" "Ooh! I've never met anyone from Atlantis before! And one of the Avalon fairies, plus a fairy godmother - you think they'll be anything like Aunt Lillie?" Technically, Lillie wasn't related to either of us by blood, but she and Ivory are family in every way that counted, and Jack has basically been like a big brother to them. Neither Ayla nor I had ever met a fairy who wasn't from Never Land, though - what kind of magic would they have? Just then, Yue made her way downstairs, and was greeted with warm hugs from both of her parents and Saige. She sat on Ayla's other side, eating her pancakes and listening to us chatter on excitedly about the reunion. I loved Yue as a sister too, though the two of us had never been as close as me and Ayla. She was kind and gentle, but also quiet and soft-spoken. She was following along with us, now and again nodding and smiling, but mostly seeming to be preoccupied with her own thoughts. Yue was a wonderful listener, but she normally preferred to just sit back and offer advice when needed rather than throw herself into a conversation. “Girls, we will leave for Estoriana in a couple hours, make sure you are ready!” Jack said, just before flying out the window for his morning rounds. This seemed to snap Yue out of her reverie, and she let out a groan. Ayla and I, on the other hand, immediately leaped out of out seats enthusiastically. I could hardly contain myself. A chance to train with Captain Saige, a powerful warrior who had trained under the Commander of all of Estoriana's armies, and someone who had fought against the villains and won when she was even younger than I was! I had always loved studying swordplay and strategy with her, though Mom didn't often let me. She always said I was too reckless, too much of a daredevil, and I should be happy that I would never have to fight in the kind of battle she had to deal with at my age. “I need to get ready for the reunion ball!” Yue exclaimed, clearly trying to dissuade us. I frowned at her. I had never truly understood Yue's hatred of training. It wasn't that she was hopelessly bad or anything, though she'd often expressed that she felt like it. Yue seemed to have a deep-seated aversion to fighting, or any kind of conflict at all. But Saige, Mei and their friends had triumphed in battle against the villains themselves! I couldn't imagine a more grand and epic story, one that had been immortalized as one of the great Tales of Estoriana. Sometimes I wished I had been meant for such an incredible destiny, even knowing all the struggle they had to go through. “Oh, don’t worry dear, you will have plenty of time to get into your fancy dress after we practice!” Auntie Saige replied, laughing. Yue slumped back in resignation. “Come on, sis! It will be fun!” Ayla sang out, pulling her grumbling sister out of her seat and dragging her along, as I followed behind them with a cheerful bounce in my step. Though I didn't have my powers on Earth, it was a great opportunity to learn how to hold my own even without them. After all, Saige didn't need any magic to fight off the shadow wraiths that frequently invaded our home. Yue and I teamed up to try and take her sister down. A half hour into our training session, I danced gracefully out of the way of one of Ayla’s bursts of magic, but Yue wasn’t so lucky. She tripped and fell, tumbling out of the way of the ice and knocking over a quiver of arrows. The arrows skittered across the icy ground, and Yue lay sprawled there, frustrated. I winced in sympathy. “Ayla, Noelle, good work. Practice your sword work together for a bit.” Saige said, walking over to Yue and helped her up. Ayla and I both shot her sympathetic smiles before leaving them to their conversation. "Poor Yue," I sighed, when we were out of earshot. "She'll get better at it," Ayla said firmly, her faith in her sister unwavering. "She just has to learn to believe in herself - but one day, Yue's going to be just as good as Auntie Saige, I know it." We had circled around behind the house, walking some distance away to an open field. There was still some time left until we had to put on our fancy gowns for the reunion ball, and Ayla wanted to show me her new trick - wind surfing! She gathered a mound of snow into an elongated flat oval shape, tucking it beneath her feet and rising into the air. Using her magic to manipulate the wind, she held out her arms like a surfer, then created a huge blast of wind that carried her upwards, then down in a circular motion. It really looked as if she was cresting the top of a huge, invisible wave, leaving a trail of glittering snowflakes in her wake. - When a terrified scream split the air. We both froze. There should have been no regular people around in this abandoned field - it was why we always came here to practice Ayla's tricks. Did someone just see us? A moment later, someone came into view, half-running, half-stumbling. A girl, no more than a year or two older than me. Her dress was torn and filthy, her long hair tangled and unkempt. Broken chains still hung off her wrists. She glanced furtively over her shoulder, the look of terror plain to see even from this distance. There came shouts, and the sound of pounding footsteps. A group of attackers, all dressed in black and wielding curved, wickedly sharp blades came into view, clearly chasing after the girl. I immediately sprang up. "We have to help her!" "Already ahead of you!" Ayla flew into the air, sending a blast of icy magic straight at the group of black-clad figures. They spun around, eyes wide with shock. "Sh-she can use magic!" one of them exclaimed. "But this was supposed to be the land without magic!" another argued, looking stunned. Ayla waved her hand menacingly, and a roaring, wintery wind blasted two of them off their feet. I knelt down in front of the girl they had been chasing, as Ayla took a quick scan of the area for any other threats. "Are you okay?" I asked. "Why were those guys after you?" The girl raised her terrified face to mine. I froze as I stared into a pair of glacial blue eyes, the color of ice crystals. Fine features and startlingly fair skin, framed by a fall of curly silvery hair that had escaped the bright blue ribbon at the back of her head. I knew those eyes - that face - I had looked into it nearly every day for all of my life. This girl was the spitting image of Ivory. "Mother?" I waited at the door to her room. I knew not to go in. All my life, this was the one room in our icy home Mother always warned me to keep away from, the door sealed with her magic. The sheet of ice in front of me melted away, revealing the entrance. I stepped into my mother's secret room for the first time - and froze in my tracks. Mother sat in front of an enormous, round silver mirror that appeared to be floating in midair. The gigantic frame had an intricate, swirling design, while the glass itself was marred by the countless cracks running through it. It looked as if it had been shattered into a million glittering pieces, then was meticulously pieced back together. It was almost entirely whole, except for a shard of emptiness near the very center. I took a hesitating step forward. "Mother? What is this?" She turned and smiled at me. "Neva. It's time you knew the truth." She gestured towards the looking glass in front of her. "I've spent years gathering enchanted mirror shards to create this - from a spell that I found. Once this mirror is complete... it will have the power to grant the spell caster one wish. Anything of her choosing." It took a moment for this to sink in, and then I gasped. "You could wish for anything? And it would come true?" "Yes. But to complete the spell, I need one more mirror shard, and two magic users who share my bloodline to cast the spell along with me." My brow furrowed. "But..." I stopped as the realization dawned on me. "You need one of them - a descendant of Elsa." "Yes. Someone of the royal family of Arendelle, who also possesses the same magical power." Mother met my gaze. "You know I cannot leave this place. More so than any other inhabitant of Exilia, I am trapped here." Unlike the rest of the Exilians, Mother couldn't even leave this world to go to Earth, because of the spell cast by her own sister that sealed her to this desolate realm. My resolve hardened. "I'll go. I'll bring back a descendant of Elsa, and we'll cast this spell together." Mother smiled. "That's my girl. You will have to be patient. Get close to her, earn her trust, and convince her to come here willingly. She must come of her own accord, and lend her power to this spell." "So that you can wish for freedom," I said. Mother didn't reply, but I knew I was right. After all, what else could she possibly wish for but to escape this place? We could finally leave and start a new life, possibly even return to Arendelle and find justice. Expose the terrible thing her sister had done, all those centuries ago. She reached over and told a handful of my long, pale hair. A bright blue ribbon slipped through her fingers. Mother gathered my hair back, and tied the ribbon into my curls. "A symbol of my love," she whispered. "Who are you?" The brunette demanded now, staring at me with a mixture of confusing and concern. Noelle, princess of Arendelle. I'd seen her countless times through my spying, though this was the first time I was seeing her in the flesh. All of this was an act, of course. Those had been my own personal henchmen, carefully instructed to put on a convincing show of chasing me around. I'd been careful to dress the part, too. Now it was time to put my performance skills to the test. I took a shaky breath, doing a great show of trying to hold back sobs. "I - My name is Neva. I've lived with the - the villains as long as I can remember, but I finally managed to escape and - " I shuddered, letting the quaking take over my whole body. Both girls' faces changed immediately, twisting into matching expressions of sympathy. Ayla used her powers to break the chains still hanging off my wrists. "It's okay, you're safe now," she said reassuringly. "Here on Earth, the Guardians are the protectors of all the children of the world. We won't let anything bad happen to you." A few minutes later, I was sitting on the couch in the living room of the Guardian Jack Frost's home, relaying my story. About how I had lived my entire life on Exilia, being a servant of the "villains". I had managed to slip away while most of them were at a meeting hosted by Queen Imperia, and found my way to the nearest portal. I hadn't known where it would lead, but anywhere had to be better than this horrible life, living with those dreadful "villains" and all their cruelty. I made sure to make it sound as dramatic and horrifying as possible. "That must have been so terrifying for you," Yue, Ayla's sister, had warm brown eyes that shone soft with sympathy. She walked over and gently draped a blanket around my shaking shoulders. "Thank goodness you were able to escape," Mei, their mother, added, before getting up to make her way over to the kitchen. "I'll go make you some hot cocoa." I shook my head. "I'm just lucky to have run into you. If - if Noelle and Ayla hadn't found me when they did..." I trailed off, shuddering. Truth be told, I was enjoying myself immensely. Putting on this show was the most fun I'd had in ages. I had always been a skilled manipulator, and this weak, terrified victim act was exactly the sort of thing these soft-hearted fools would fall for - hook, line, and sinker. Noelle and Ayla kept casting me furtive glances across the table. I dropped my gaze and pulled the blanket more tightly around my shoulders, pretending to be uncomfortable at their scrutiny. "Sorry," Ayla spoke up after a few moments. "It's just - you look so much like somebody we know." "Where is your family?" Yue asked gently. All three of the girls' mouths dropped open in shock. Shock and horror - but there was no hint of recognition on Noelle's face. So. What my mother told me had been true. Her sister had really done that - banished her own flesh and blood to the desolate land of Exilia, and then erased the memories of everyone in Arendelle to hide her crime. This time the sick feeling that flooded through me was entirely real, and I let it show on my face. "Why didn't I know about this?" Noelle whispered, looking shell-shocked. "All the Estorianian texts, the Arendelle records - none of them ever mentioned that the Queen Gerda had a sister." I ducked my head. "I think - it was too painful for the family," I said in a small, choked voice. "She - she was taken when she was really young, and it was centuries ago. It was probably easier for everyone to just forget." This lie tasted bitter on my tongue. "Sounds like how it was with Dove and Phoenix," Mei said softly. I hid a smile. I'd deliberately chosen this cover story so that it sounded similar to Phoenix's. That way, it would seem all the more believable - if it had happened once, who knew how many children the "villains" had stolen? My mother and her allies were effectively monsters from myth now, little more than bogeymen. The descendants would have no trouble believing I was yet another victim of their "evil" schemes. Of course, I wasn't naive enough to take Queen Imperia at her word that she had been the one to be wronged. Yes, Dove had turned her own daughter against her, using whatever tricks and lies the descendants were so skilled at, and that must have been a heavy blow. It was unforgivable of Layla to abandon her mother like that, but that didn't excuse Imperia for stealing an newborn baby away from her family. No child deserved to be ripped away from her parents and brought to such a miserable place. Even knowing that Phoenix would grow up to be just as cruel and traitorous. For as long as I could remember, I'd resented the descendants, hated them, desired revenge for all that they'd done... But it didn't mean I had ever fully trusted the people who had raised me. I knew there were things they weren't telling us, and whatever the true story was, they certainly weren't as innocent as they would like us to believe. It was just like Mother said... In all the world, she was the only person I could ever truly trust. "Mom wasn't the only one," I continued, my voice still choked up. "There were - many children among those captured by the... villains." There was revulsion mixed with the horror and sympathy on Saige's face. "Many of the villains did capture children, not just Queen Imperia. In fact, the Pied Piper was a monster who stole countless children. He eluded capture for years, in fact, but we got him in the end." I couldn't look at Saige for fear that my fury would show on my face, breaking through the facade. It was Commander Shang's troops who captured Mireya's parents and banished them, without the slightest hint of mercy for inflicting such pain on a happy couple with a child on the way. Whatever Mireya's father had done, years ago, she and her mother had not deserved to suffer as they did. And Malcolm had changed, Mireya had sworn to it. He would have done whatever it took to earn redemption, if only they had given him a change. Had Saige been there that day? Was she the one who sealed their fate? For a moment, the hatred and disgust at these descendants and their hypocrisy almost consumed me. Showing such sympathy towards those they deemed to be worthy of it, pretending to be such noble and benevolent beings. All the while acting with unrepentant cruelty and callousness to those they deemed unworthy of existing in their perfect little world. Who were they, to decide who should be saved and who deserved condemnation? What gave them the right to decide such things? And I feared that if Saige had met my eyes just then, all that rage and loathing would boil over, unable to be contained. "It's true," I added quickly, determinedly stamping down my knee-jerk reaction. "Many of us who have been captured by the villains either don't know, or no longer have any family. I'm just so grateful to all of you for helping me." "But you do have a family," Noelle said to me now, trying her best to give a comforting smile. "You see, I'm a descendant of Elsa - Queen Gerda's daughter." I gasped. "Is - is that really true?" Noelle nodded, looking much more cheered now that she had good news to deliver. "Ivory - my grandma - is queen now. We're all going to a big gathering of all the descendants soon, actually! You should come with us, we'll introduce you to the whole Arendelle family." I threw myself at her, clutching on in a dramatic show of an exuberant embrace. Surprise seemed to freeze her in place for a moment, but then she returned the hug. "Thank you. Thank you so much," I whispered. And I allowed myself a small smile of satisfaction. Get close to her. Make her trust you, weave your way into her life. Then bring her here. I felt a rush of determination. Don't worry, Mother. I won't let you down. Due to the nature of the banishment curse, it had been passed down to me from my mother, just like everyone in my generation. Not to the same extent - we could leave Exilia for lands without magic, such as Earth. However, I was just as sealed off from the world of Estoriana, all of its portals and passageways refusing to grant entry. But there was one way to break it - if one of the descendants willingly allowed me access. I had actually considered telling Mireya about my plan. A stab of guilt pierced through me, knowing how much she had wanted to see the wide-open fields of grass and wildflowers, feel the warm, bright sunshine. But I didn't think she would be able to keep up the act, around so many of the descendants she hated. And I couldn't allow anything to blow my cover. Also... there was a part of me that still didn't entirely trust her. The same part that had never fully placed my faith in anyone, not since Saskia. I looked over at Noelle, who gave me an encouraging smile. She was dressed in a long, flowing gown of deepest red, that darkened to black at the hem. I wondered, not for the first time, how often she had the opportunity to get decked out in these fancy getups and wallow around frivolously with the other descendants. I felt another stab of resentment. But it was quickly forgotten when I felt it. The pull, deep in my belly, as something seemed to shake loose, and the world spun off its kilter. I held onto Noelle's hand, and closed my eyes. About to take my very first glimpse of Estoriana. The world we all coveted. The world that Saskia had chosen over me. (Ahh, why is this so long? Not again! Liri, I know I controlled your characters quite a lot, let me know if it's all okay. Last edited by Night Wish; 03-16-2019 at 06:33 AM. Aaaaah!!!!! I loved it!!!! Wow haha. You worked some magic as usual! I love the way you portrayed my characters - as always! You know them so well!